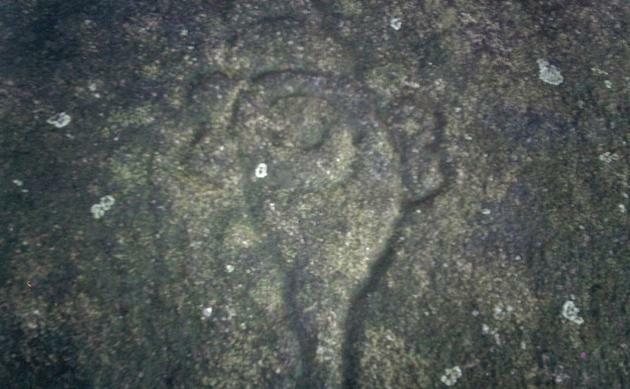 A team of archaeologists have discovered a site of rock engravings at Chathiyodu in Palakkad district.The team led by V. Sanalkumar, Director of Geo-Heritage Archaeological Research Centre, made the discovery along the tributary zone of the Chulliyam Peraru river (Bharathapuzha) basin in the Western Ghats. A large number of prehistoric, early historic, medieval, and later medieval archaeological sites relating to ancient Tamizhakam have been found. The site at Chathiyodu has the image of a bull engraved on a flat rocky surface near an open shrine. Engravings of tree-like motifs have also been found. Similar discoveries have been made along the Gayathripuzha valley of Thenmala in Arayakulam, Seetharukundu, Thevarmani porai, and Vamala. A pair of foot carvings on rock surfaces have been found at Govindamala, Vamala, Kottamala, and Viruthi. Carvings of footprints have been reported from Kalavetti, Kalpathy, Thenery, Thiruvluamala, and the Malayattur hills. At Kottamala, images of conches and wheel have also been found besides the footprints. Another collection of rock engravings of Chathuranga columns, numbering three, and carvings of a bow and arrow and a crocodile have been found in association on huge rock slabs of a ruined shrine at Nadakavu. This is the first time that primitive rock art has been discovered in the district. Earlier, rock engravings were reported only from the Edakkal caves and Thovari in Wayanad, Ezhuthupara at Marayur in Idukki, Thenmala in Kollam, and Ancodu in Thiruvananthapuram. Sharp stones or iron tools may have been used for the engravings and carvings on granite rocky surfaces, Dr. Sanalkumar said. The engravings of a conch and wheel might be related to the prevailing culture of Vaishnavism. Worship of footprints (padapooja) was believed to be prevalent in the earlier form of Hinduism, Jainism and Buddhism. Favourable conditions, presence of rock shelters and caves, natural water supply, moderate climate, ideal condition for paddy cultivation, forest and grasslands and accessibility to central India through the Palakkad gap might have attracted pre-historic dwellers to settle in the tributary zone, Dr. Sanalkumar said.